Today I am…in Istanbul (briefly) | StyleAble Fashion For Everyone! I get so bored when people try to show me their endless holiday snaps #yawn. The first few are fine, but then they bring out those pictures that are really just of them, doing the same pose and with a tiny bit of background showing where they are…thrilling. 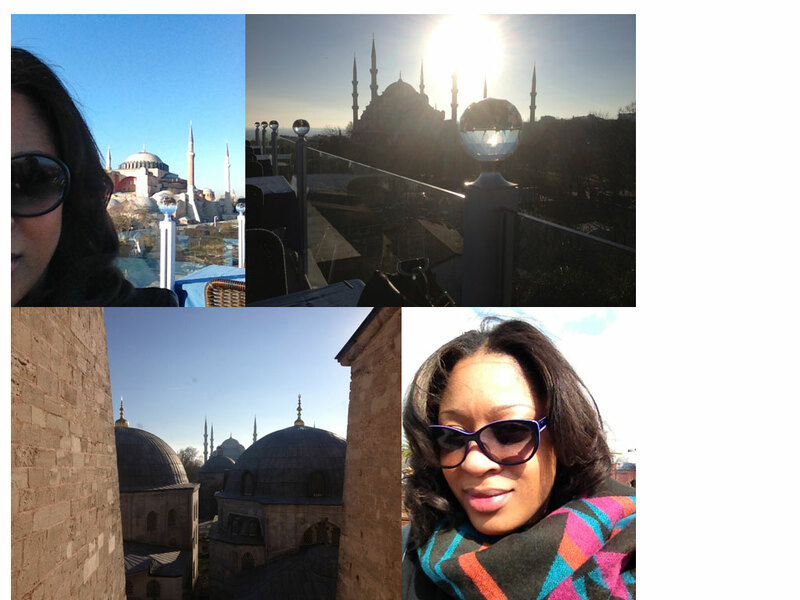 Yet, here I am with a photo montage of my latest visit to Istanbul! It seems that I am the very person I dislike…go figure. Anyway, if you can make out Istanbul behind my quite large head (I have a large brain you see) you will see how utterly breathtakingly beautiful it was. What’s more, check out the glasses! They are by Esprit and they are the perfect all season eyewear, especially for those with large faces (and heads). Esprit glasses – £65.00 available from Charmant 020 8992 9222.